Ingersoll-Rand's deferred prosecution agreement was supposed to expire on Halloween. But the company is now reporting new potential compliance problems in China. I want to thank Kyle Sheahen for his recent post and paper arguing that the promotional expenses defense under the FCPA is illusory. His work has stimulated a useful debate. From a perspective different than previous commenters (here), I'd like to state the case for the value of the defense. Lucent Technologies - $10 million in trips, primarily to vacation destinations in the U.S., including $34,000 for five days of sightseeing, wrapped onto a three day trip of business activity. Ingersoll Rand - holiday excursion to Florence after visiting the company’s facilities in Vigante, Italy. The excursion to Florence included payment of $1000 in “pocket money”. Metcalf & Eddy - first-class travel to the U.S. for foreign officials and per diem cash payments equivalent to 150% of estimated daily expenses. Titan Corporation - there's a reference to an authorization for a $20,000 payment for promotional travel expenses, with the notation that it was unclear if the payment was made. However this was in the context of at least $2 million paid in bribes to government officials. Even if the $20,000 was not paid, there were other facts on which to base the enforcement action. I would argue that none of the above enforcement actions involved promotional expenses which were either bona fide or reasonable. Based on the foregoing, I think companies subject to the FCPA have sufficient guidance on what constitutes a bona fide or reasonable promotional expense. I also believe the cases cited in the article can be used as solid teaching points on what is not bona fide or reasonable without having to try and ascertain the intent to corrupt. Thomas Fox is an attorney in Houston, Texas, specializing in FCPA compliance, risk management and international transactions. His blog can be found here and he can be reached at tfox@tfoxlaw.com. Bermuda-based heavy equipment maker Ingersoll-Rand Company Limited said on October 31, 2007 that it resolved fraud and U.S. Foreign Corrupt Practices Act violations in connection with illegal payments by subsidiaries to Iraqi officials under the U.N. Oil For Food Program. Ingersoll-Rand will pay a total of $6.7 million in penalties, interest and disgorgements. It consented to entry of a civil injunction with the Securities and Exchange Commission and a three-year deferred prosecution agreement with the Department of Justice. The DOJ filed separate criminal informations against Ingersoll-Rand's subsidiary Thermo King Ireland Limited for conspiracy to commit wire fraud and against Ingersoll-Rand Italiana SpA for conspiracy to commit wire fraud and to violate the books and records provisions of the Foreign Corrupt Practices Act. After discovering and investigating the illegal payments, Ingersoll-Rand fired a number of employees. It conducted what the DOJ called a "thorough review of the improper payments" and self-reported the results to the government. If Ingersoll-Rand meets the terms of the three-year deferred prosecution agreement -- no further violations, enhanced compliance efforts, use of a "compliance consultant" -- the DOJ will dismiss the criminal charges against the subsidiaries. The subsidiaries and their agents arranged and paid kickbacks to the Iraqi government in order to obtain contracts with ministries to provide road construction equipment, air compressors and parts, and refrigerated trucks. Between October 2000 and August 2003, employees of the subsidiaries paid about $600,000, and offered to pay an additional $250,000 in kickbacks by inflating the price of contracts by about 10 percent before submitting them to the United Nations for approval. 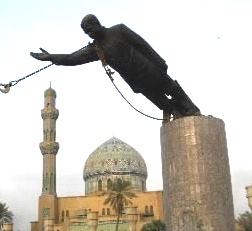 Commissions were prohibited by U.N. sanctions in place against Iraq. The SEC complaint charged Ingersoll-Rand with failing to maintain an adequate system of internal controls to detect and prevent the illegal payments and failing to record the true nature of the payments by calling them "sales deductions" or "other commissions." Ingersoll-Rand consented to the entry of a final judgment with the SEC permanently enjoining it from future violations of Sections 13(b)(2)(A) and 13(b)(2)(B) of the Securities Exchange Act of 1934 [15 U.S.C. §§ 78m(b)(2)(A) and (B)]. The SEC's complaint describes, among other things, how Ingersoll-Rand's Italian affiliate improperly used the FCPA's affirmative defense for promotional expenses. In February 2002, I-R Italiana sponsored eight officials from the Iraqi Oil Ministry to spend two days touring a manufacturing facility in Italy. But the Iraqi officials spent two additional days "on holiday" touring Florence at the company's expense, and were also given $8,000 in "pocket money." I-R Italiana's payment of holiday travel expenses and "pocket money" violated Ingersoll-Rand's internal policies regarding payments to foreign government officials. The company's 2002 FCPA Manual permitted payments directly related to product demonstrations or actual contracts but expressly prohibited any payment for vacations. The company's Travel Guidelines expressly barred any cash payment of "pocket money" or "walking around money." Ingersoll-Rand also failed to account properly for its pocket money payments in its accounting books and records, recording the payments under a general ledger account for "cost of sales deferred." Ingersoll-Rand trades on the New York Stock Exchange under the symbol IR. It says it "has been continuously listed on the NYSE since 1906 and is among the top 10 continuously listed companies on the NYSE." View Ingersoll-Rand's October 31, 2007 News Release Here. View the DOJ's October 31, 2007 News Release Here. View Ingersoll-Rand's Deferred Prosecution Agreement Here. View the SEC's Litigation Release No. 20353 / October 31, 2007 Here.